Honduras is an easy country to get to. An amazing fact is that it has more international airports accessible from all over the world than any other country in Central America. Those airports are Toncontin International Airport (TGU) in the capital city of Tegucigalpa, Ramon Villeda (SAP) in San Pedro Sula, and Juan Manuel Galvez (RTB) on the Bay Island of Roatan. There is also Goloson International (LCE) that serves the city of La Ceiba on the Caribbean coast. Of these airports, the major one is Ramon Villeda in San Pedro Sula. It’s larger than Tegucigalpa and sees more traffic. San Pedro Sula may not be the capital city of Honduras, but it is the main commercial and business hub of the country, and the airport reflects that. 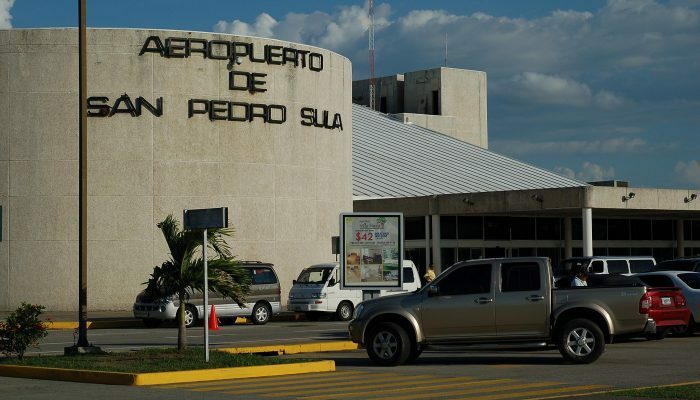 Flights arrive into San Pedro Sula from many cities in the US and from around Latin America and Europe, including Madrid, Miami, New York, Houston, and Atlanta. TGU Airport in Tegucigalpa has a bad reputation. According to the History Channel’s Most Extreme Airports show, it’s the second-most dangerous airport in the world, with a short runway that is difficult for pilots to land on. It’s surrounded by mountains and the weather can get nasty, too. This reputation is one of the reasons many airlines prefer San Pedro Sula. The longer runways at San Pedro Sula can also accommodate larger planes. With all that said, TGU does welcome flights from Atlanta, Miami, and Houston, and from all over the rest of Central America. The fact that Roatan has its own international airport is a testament to the fact that it’s a successful tourist destination in its own right. RTB Airport is the first port of call in Honduras for many travelers from Miami, Houston, Dallas, and Atlanta. It also connects with other Caribbean Islands like St Lucia and Cayman, as well as cities around Central America and Mexico. The smallest international airport in Honduras is in La Ceiba. This airport is most often used for private planes, but there is also a regular service between La Ceiba and Belize, and some Mexican and Central American cities. 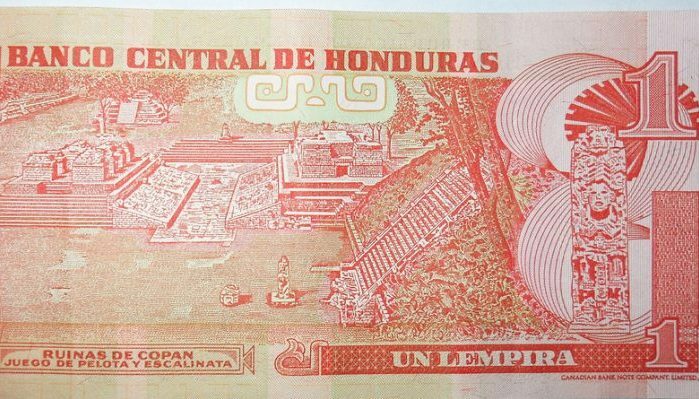 Honduras shares land borders with Nicaragua, El Salvador, and Guatemala. Honduras shares three official border posts with Nicaragua. The main one is at El Espino on the Pan-American Highway and leads to the town of Choluteca and onwards into El Salvador. The two other borders are Las Manos and Guasaule. Las Manos connects Nicaragua with Tegucigalpa and is used by people actually traveling to Honduras rather than through Honduras. The Guasuale border is close to the Pacific, and also connects to Choluteca. This is the least used border between Honduras and Nicaragua. Honduras has two border posts with El Salvador, El Poy, and El Amatillo. El Poy is the best route from San Salvador to San Pedro Sula and Caribbean coast of Honduras. El Amatillo is on the Pan-American Highway and serves the south. If you’re heading to Tegucigalpa from El Salvador or into Nicaragua, this is the easiest border. Between Honduras and Guatemala, there are three border posts. The two countries are planning to unite as a joint customs zone. This means that crossing between Honduras and Guatemala become easier than the other countries. The Agua Client border is close to where Honduras, Guatemala, and El Salvador meet. It is the border closest to the Pan-American Highway and so is the most used. The El Florida border is the most convenient way to get from Guatemala to the Copan ruins. Lots of tourists use this border, many of them on day tours into Honduras to see the Mayan site. Close to the Caribbean coast is the Corinto border. This connects Guatemala City with San Pedro Sula, as well as the ports along the coast, giving access to the Bay Islands. It is also possible to get to Honduras by sea, both from Guatemala and from Belize. There is a weekly service into Puerto Cortes from Placencia, Belize, as well as more regular boats from Punta Gorda. It’s also possible to get into Puerto Cortes from Livingston, Guatemala. Cruise ships often visit the Bay Islands, and Roatan has a new cruise ship terminal. Passengers are able to enter Honduras in that manner as well. In the parts of Honduras where most visitors and expats are likely to be, getting around is easy. We’re talking about the Bay Islands, of course. They are accessible from the mainland by a short flight from San Pedro Sula, La Ceiba, or Tegucigalpa, and also by boat from La Ceiba and other points along the coast. On the Bay Islands, the roads are good, and it’s safe to drive around. There are also plenty of bus and taxi options, all safe and easy to use. On the mainland, things are a little different. When the roads are good – such as the main highway between Tegucigalpa and San Pedro Sula, and up to the coast – they are very good. Smooth highways. But when they are bad they are awful. Even the main roads like the Pan-American in the very bottom Pacific corner of the country have conditions that need improving. Drive with care. The bus system is cheap and easy in Honduras. From the main hub cities, you can get anywhere. 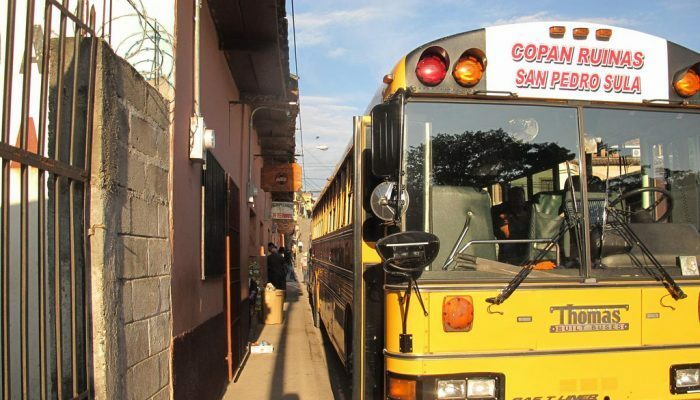 Buses are either “economy” or “first class” in Honduras, and it’s recommended, for safety reasons, that foreign visitors always use first class. This only applies on mainland Honduras, by the way, not in the Bay Islands. In the cities, taxies are readily available. Fares are negotiated before setting off. It’s advisable to always get the driver’s name and plate number in advance as well and to ensure that he does not pick up others en route. Honduras also has domestic airlines that are widely used. The routes from the mainland to the Bay Islands are most popular, but the country is full of airstrips that serve local communities, especially out in the remote, eastern half. Isleña, Sosa, and CM are the main airlines. Honduras is two countries – the mainland and the Bay Islands. The rule of thumb is that the Bay Islands are expensive, and the mainland is cheap. Of course, “expensive” is a relative term. Compared to the rest of the Caribbean, the Bay Islands are cheap. And one should compare the Bay Islands to Barbados or St Barts rather than to the rest of Central America. 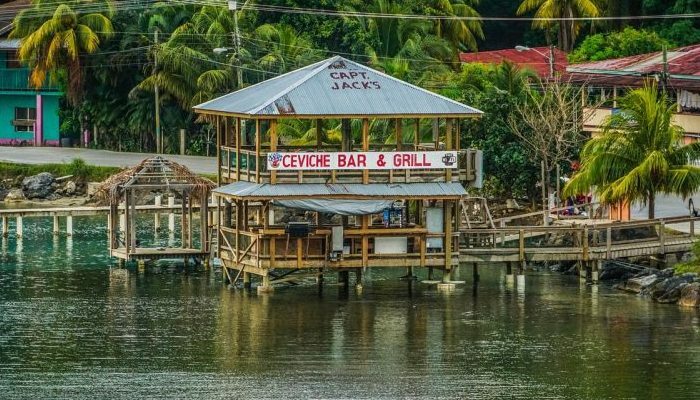 The closest comparison the Bay Islands have to Central America is Belize, and the Bay Islands are cheaper. Not a great deal cheaper, but cheaper. But compared to mainland Belize, the Bay Islands are expensive. Most visitors and expats live in the Bay Islands, so when they have to go to the mainland, they get a pleasant surprise. Island life in Honduras, like island life anywhere, has its financial costs. Living in Roatan, in the Bay Islands, can be done for around $2,000-$2,500 a month. That would give you a nice life. It’s possible to do it for less than that, but you would not be so comfortable. But living for $1,500 on the mainland would give you the comforts of life that $2-$2.5k would in the Bay Islands. Honduras is a country where safety should be taken seriously. Like El Salvador and Guatemala, there are major security issues in Honduras. The country has one of the highest homicide rates in the world, and there is no getting around this. Law enforcement is weak at best and there is a high level of impunity among criminals. Some areas are more dangerous than others. 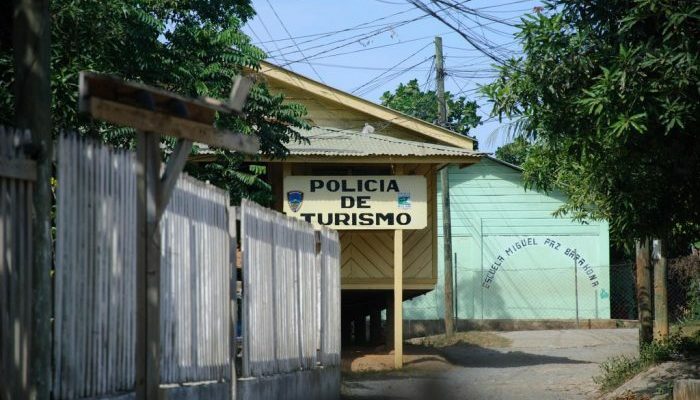 The departments of Olancho and Gracias a Dios in the east of the country are the most dangerous. Super-remote, these areas are for all intents and purposes lawless. Drug gangs operate at will. The US State Department and the Canadian government recommend that their citizens do not travel to this part of Honduras. San Pedro Sula is another city that’s dangerous. Criminal gangs have targeted tourists here before, although most of the violence is between rival gangs. No city in Honduras should be considered safe to walk around, especially San Pedro Sula, Tegucigalpa, and La Ceiba. Stick to the upscale areas and keep an eye out at all times. On the roads, care needs to be taken. Carjackings and hold ups do occur, both to private vehicles and buses. Check when on the ground what routes and highways are more dangerous at any given time. Flying is recommended more than driving or traveling by bus. Just as some areas are more dangerous, others are safer. The Bay Islands suffer from very little of the crime that plagues the mainland. And it’s the Bay Islands where the vast majority of visitors end up, and where most expats live. Here, things are way better. Petty theft is the main thing to worry about. But outside of the Bay Island, be careful.